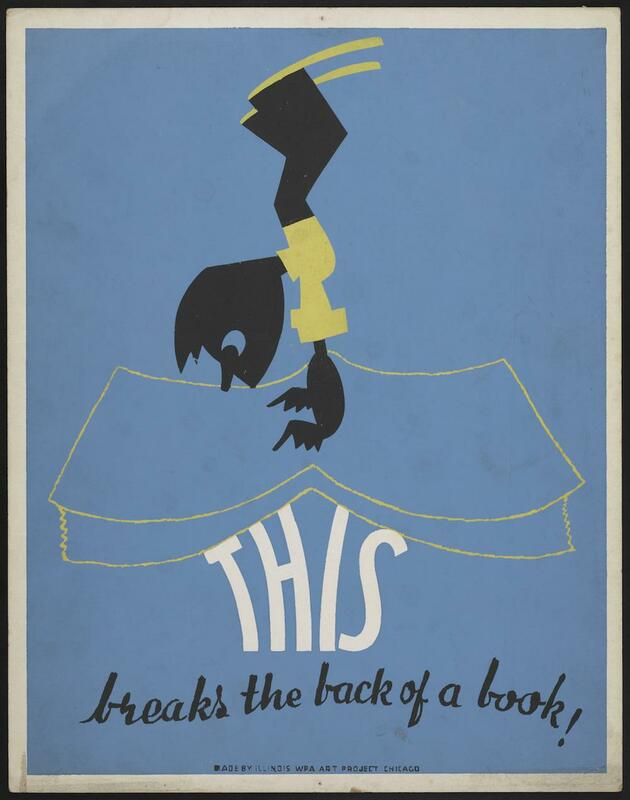 WPA posters teaching kids how to take care of books. 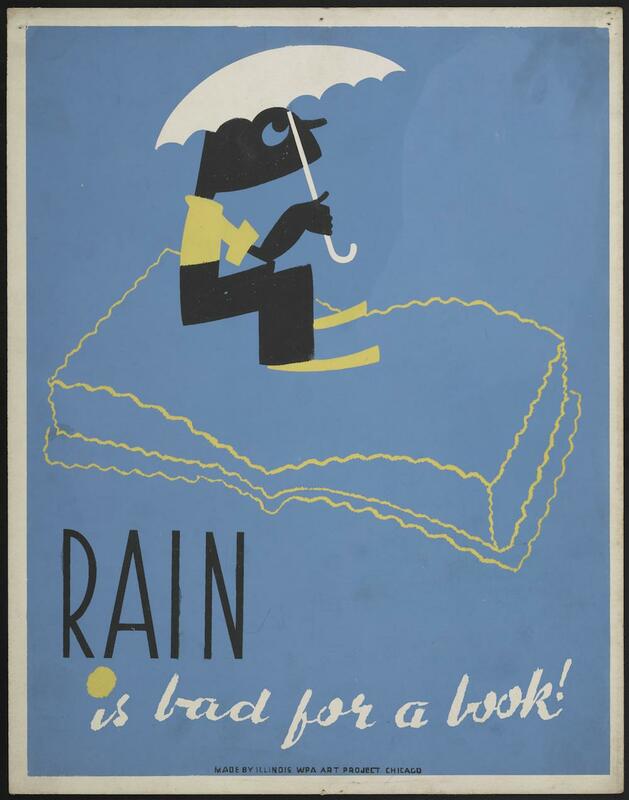 This group of five posters by graphic artist Arlington Gregg, commissioned during the latter half of the 1930s by the Illinois division of the Works Progress Administration’s Federal Art Project, instruct young library patrons in good book hygiene. On each, an impish figure demonstrates the negative behavior that book lovers should strive to avoid. The children’s library (or the division in an adult library that was especially intended for children) was an American invention of the late 19th century. 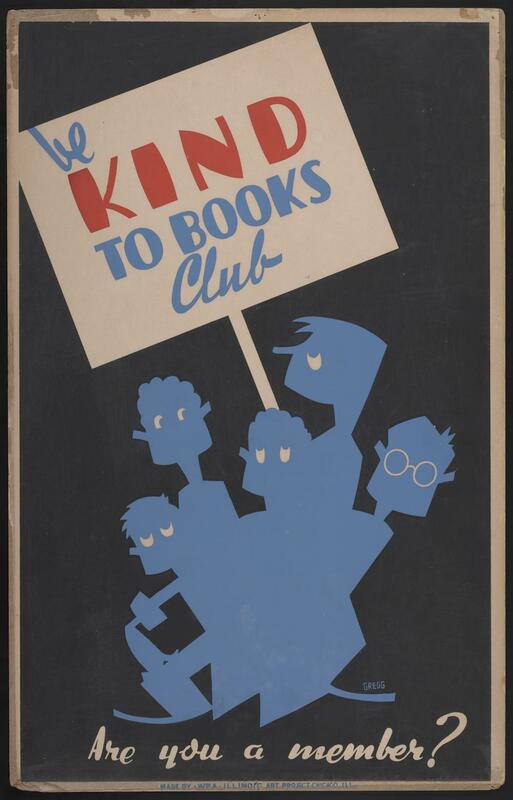 Historian of libraries Mary Niles Maack writes that by the early 20th century, American librarians could receive special training in children’s librarianship; by the 1920s, librarians in other countries increasingly sought American advice in the establishment of facilities for young people. 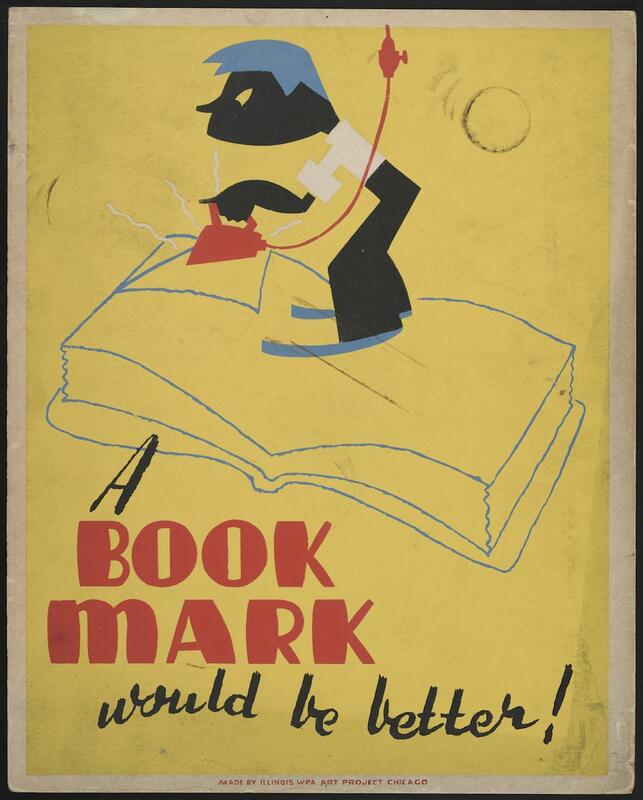 The playful nature of these posters reflects the light touch that many American children’s librarians hoped to bring to the encouragement of reading. 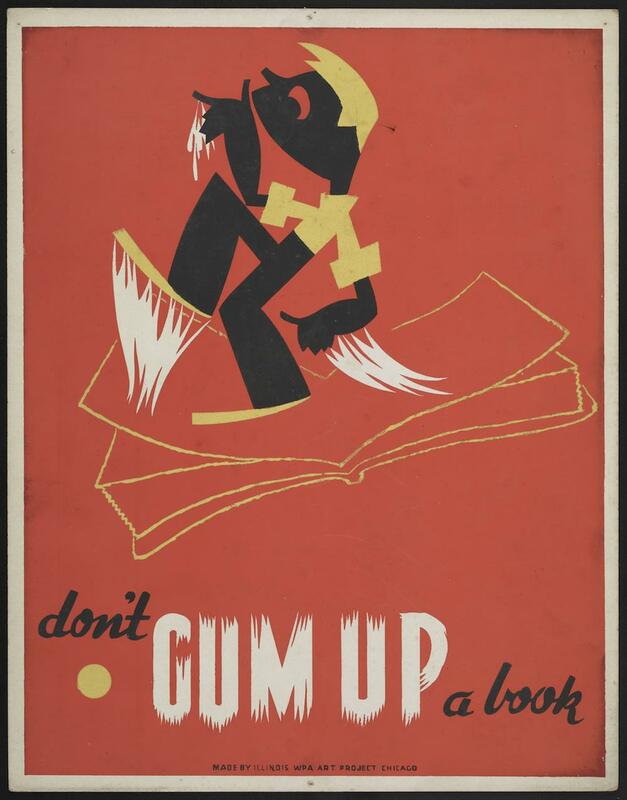 Gregg’s posters don’t chide; rather, they impart advice in a humorous fashion, while still impressing upon readers the need for good stewardship.